Designed Especially For Start-Ups & First-Time Business Owners. Choose Your Plan: Short-Term or Long-Term. Build Credit. Learn Marketing. A Start-Up’s Dream Come True! Monopolize Your Marketplace Audio Training Program. 11 hours of ground-breaking marketing CDs (downloadable, not hard copies). 4 payments of $59.99. 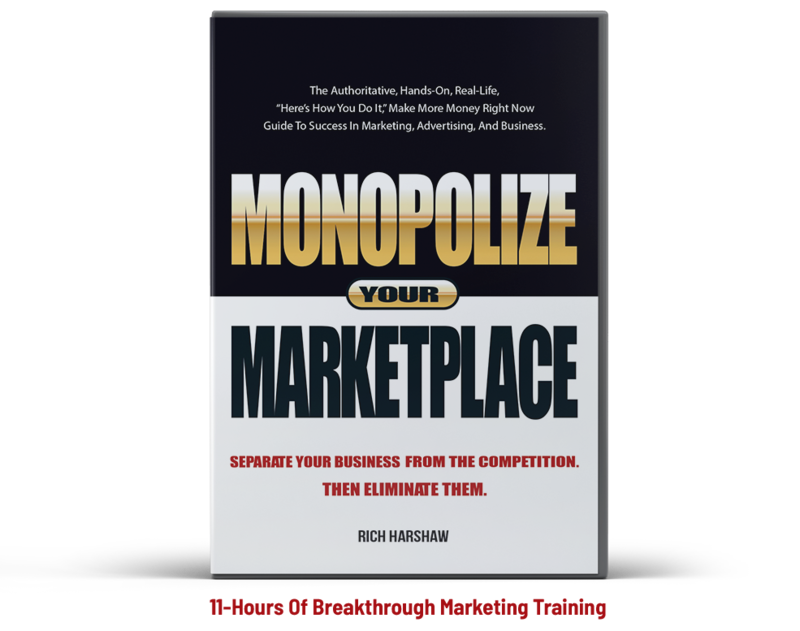 Monopolize Your Marketplace Audio Training Program + Access to 122 recorded webinars on every important marketing topic. 4 Payments of $59.99, then 24 Payments of $19.99. Each time you pay us, we report to CreditSafe.com, who partners with over 20 reputable credit bureaus. The longer your payment program, the more your credit will grow. It really is that easy. * Note: There is an initial $4.95 sign-up fee billed immediately. Your monthly payments start 30 from purchase of the program. Start Building Your Credit RIGHT NOW. Credit reporting for 4 months to 20+ credit bureaus through CreditSafe. 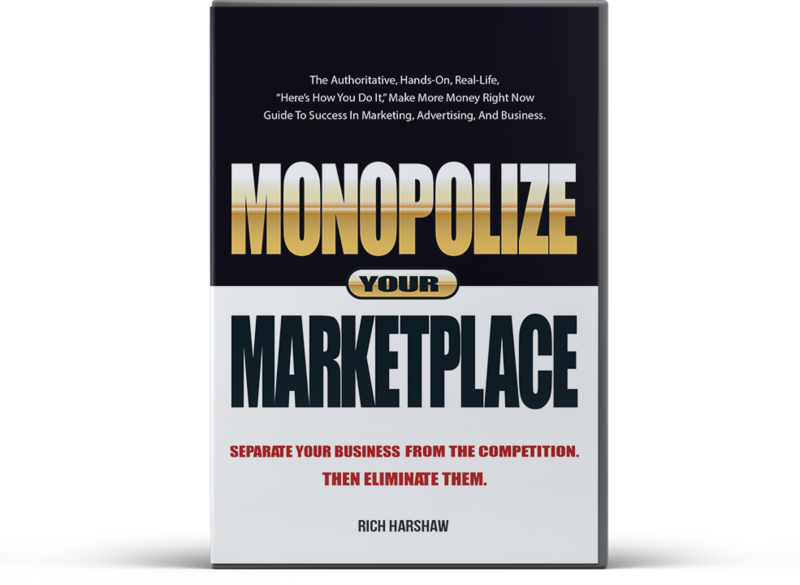 Audio download of Monopolize Your Marketplace’s Flagship Marketing Advice Program—a groundbreaking program covering EVERY relevant marketing topic in 11 hours of audio, 94 tracks, and supplemental workbook with 44 pages examples and worksheets. $389 in FREE bonuses, including The 5 Biggest Marketing Mistakes audio program ($99 value), 6 downloadable audio volumes of MYM Insider Webinar Vault Top 10 ($140 value), and an in-depth review of one of your marketing pieces ($150 value). Long-term credit reporting to 20+ bureaus through CreditSafe. Instead of just 4 months of reporting, you get 28 months of reporting to build longer, better, more substantial credit. View the full program details.